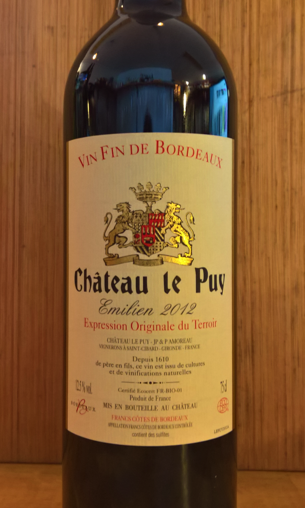 2014 Château le Puy 'Emilien'. Bordeaux-FRANCE. Described to me on first tasting as a 'natural Bordeaux', I was dubious! But it lives up to everything I had wished it would be. Earthy but rich fruits. Not overly extracted or chunky. Elegant yet full of flavour. Absolutely love. Family domaine since 1610, biodynamic, no fining, no new oak. Natural. 85% Merlot, 14% Cabernet Sauvignon & 1% Carmenere.